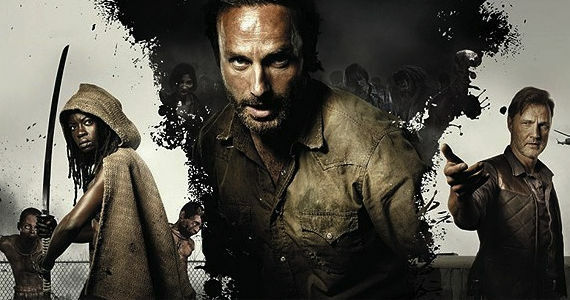 The Walking Dead is getting yet another season – surprised? Right now The Governor’s story arc is in full swing, cast members are going down left and right, Rick is going bananas – the survivor’s world is seriously going to hell. Like more than it already did. But as the drama and action builds, ratings continue to rise in parallel. The mid-season premiere on our ongoing season bested all other records previously held by Rick and the gang as the most watched premiere yet, so why the hell is a season 4 even breaking news? More interesting is what the creative team will look like heading into season 4’s production when filming begins May 6th. We already know Glen Mazzara will be gone come season 3’s finale on March 31st, but now we know who will have their input on how The Walking Dead will shape up. So to recap – we have Mazzara out for reasons still not solidified (although rumors are abundant), Scott M. Gimple taking over as showrunner, Greg Nicotero getting bumped to Executive Producer, and Tom Luse also joining Nicotero on the Executive Producer level. What does this mean for season 4? I’m not getting into that right now. No really, I refuse to say anything about content because although I was enamored by where Mazzara took The Walking Dead when he stepped in for Darabont, I’m now finding myself laughing at the craziness overhaul Rick has been given, far beyond just hearing Lori’s voice on the phone. Wandering around the forest mumbling while chasing the ghost of his dead wife? Depending how season 3 finishes up, maybe a completely new team is what Robert Kirkman’s comic turned television supershow needs – or this might just be what Kirkman wanted. Only time will tell as we wait for season 4 to yet again spice up the Halloween season with more zombie killing antics and apocalyptic warriors.